Hello craft room friends, today I am sharing a pretty card I created with a St. Patrick's day theme. I made this for the Pazzles Craft Room. I decided to use the Celtic knot background card cut file set and created this rendition. The patterned paper I used was from the All Seasons recollections paper stack. Here’s a look at my completed card. The finished size is 5x6.5. I started with a Kraft cardstock base. I then cut the Celtic knot background layer and the flowers from the Vanilla Cream cardstock. I inked the edges of the flower petals with some Canary pigment ink from the CTMH Whimsy Ink Pad Assortment. I then used my McGill flower sculpting tool to give the petals some form. I layered four layers of flowers and staggered them on top of each other. This gave me more petals to work with. For the centers of the flowers I added some bling gems assortment. Here is a closer look at the layered, finished flower. Here’s another closer look. You can see that I also inked the edges of the leaves. For the last part, I used the print n' cut feature to print then cut out the sentiment. I added it to a scalloped layer and then added some foam tape underneath to give it a little lift. I also added a little gold heart from the treasured puffies sticker assortment from Close To My Heart and all done!!! Be sure to head over to Pazzles to check out other great projects. 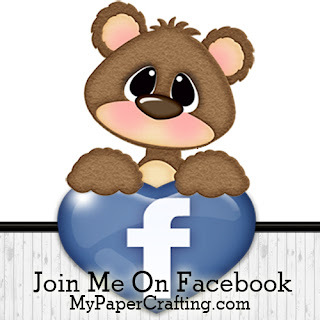 PLUS, you can sign up to join the craft room and download this cut file set along with thousands of others!!! Blessed to call you friend Pazzles cut file set.